Welcome to the JCC Nursery School Parents Association! We are Donna Sheynfeld and Kate Pines Kirschner, your Parents Association co-chairs for the 2018-2019 school year. This is the third year for both of us at the Saul and Carole Zabar Nursery School. 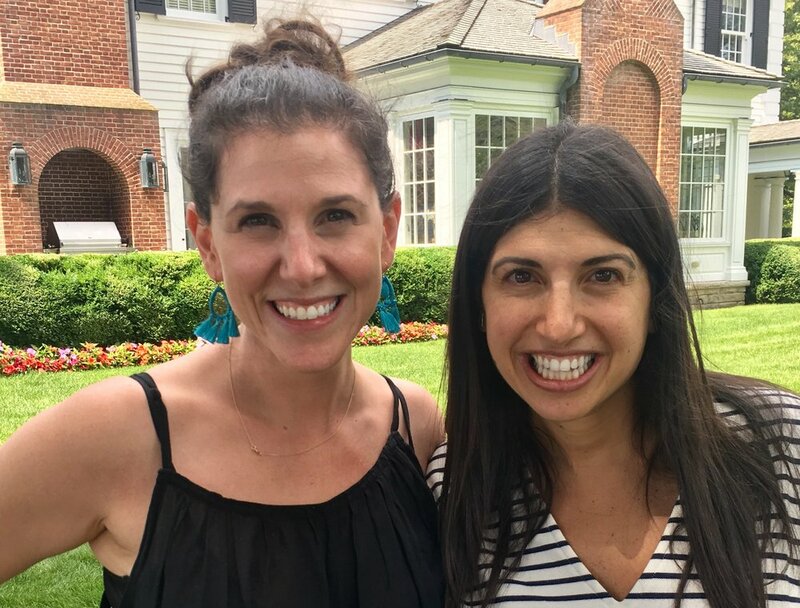 Donna and her husband, Tal, have two daughters at the JCC—Emmi, in Pre-K, and Arielle, in the 2s, and they look forward to their brand-new son, Luca joining the community in a couple of years. Kate and her husband, Phil, have two boys, Jonah, in Pre-K, and Tobias, who can’t wait for his turn next year. The nursery school has become enormously important to us over the last few years, and we are eager to help create that experience for other families. The JCC offers everything we were looking for in a school for our children—a warm and loving environment rooted in Jewish culture and traditions, a strong teaching staff, passionate administrators, and a vibrant, engaged community of parents. We are so lucky to have such a strong and active parent body. With over 25 PA–sponsored events throughout the year and volunteer opportunities to fit every schedule and capacity, we want all families in our community to feel that they can find their place here. It is our hope that you will join us at events, attend Parents Association meetings, and volunteer when possible. We are dedicated to making all of these experiences meaningful for you and your family. Additionally, because the Nursery School is just one part (albeit an essential part!) of the Marlene Meyerson JCC Manhattan, our children’s first school experience becomes so much more than just that. From family programs through The Bert and Sandra Wasserman Center for Family Life to extracurricular classes and activities for everyone in the family to opportunities to explore Jewish life and values through The Center for Jewish Living to becoming more engaged and aware citizens at The Joseph Stern Center for Social Responsibility, being a JCC Nursery School family opens you up to so many opportunities to grow, connect, and have fun—during your time as a Nursery School parent and long after. We so look forward to getting to know you this year. Please reach out to us with any questions, issues, suggestions, or just to say hello and chat. We are excited for a great year!